Pressing for concerted global action to deal with terrorism, India and Iran on Saturday called for ending 'selective' approach to combat the menace and said countries that aid, abet and support terror groups should be condemned. 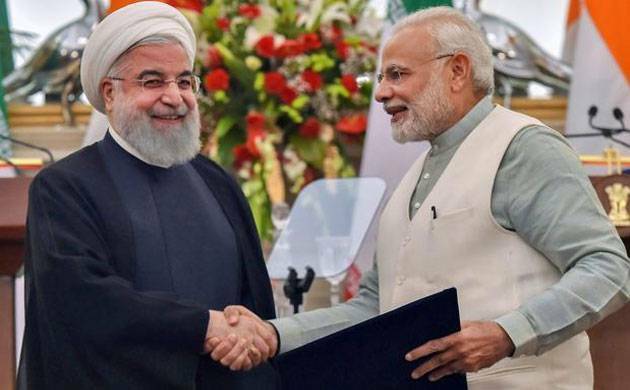 The issue of dealing with the challenge of terrorism figured prominently during talks between Prime Minister Narendra Modi and Iranian President Hassan Rouhani. While Rouhani said India and Iran have a "common stance" in effectively dealing with terrorism and extremism, Modi said the two countries want a terror-free world and that they were committed to stop expansion of the powers which encourage terror. "Iran and India have a common stance on confronting terrorism and extremism, and we are determined to confront terrorism and extremism through culture and the exchange of information and experience," Rouhani said. A joint statement said the two leaders expressed their conviction that the fight against terrorism should not only seek to disrupt and eliminate terrorists, terror networks, but should also identify and address conditions conducive to terrorism as well as extremist ideologies. It said the two leaders called for combating terrorist elements and "complete eradication" of their supportive movements and financial support. The statement said Modi and Rouhani reiterated their strong commitment to combat terrorism in all its forms and manifestations, and stressed that there can be no justification whatsoever for any act of terrorism. "They urged an immediate end to all support and sanctuaries enjoyed by terrorist groups and individuals and were of the view that States that aid, abet and directly or indirectly support terrorism should be condemned," the joint statement said. It said the two leaders stressed that terrorism cannot and should not be associated with any religion, nationality or ethnic group. "They called on the international community to end selective or partial approaches to combating terrorism and, in this regard, stressed the need to make every effort to reach an agreement on and conclude a comprehensive convention on international terrorism at the UN General Assembly," the statement said. It said both sides "endorsed UNGA consensual resolution in 2013 derived from the idea of Iran's President World Against Violence and Extremism (WAVE)" and called for combating terrorist elements and complete eradication of their supportive movements, cutting financial support to terrorist groups in particular.